Your data may be vulnerable and you may not even know it. The truth of the matter is, most people practice bad security habits on a day-to-day basis, leaving themselves susceptible to data hackers and thieves. If you think this doesn’t apply to you, you may want to think again. That’s the kind of attitude that leaves you open to attack. 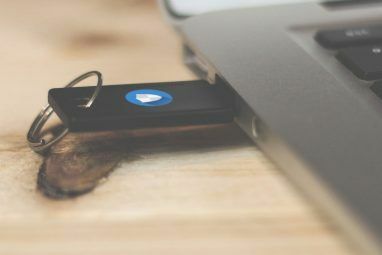 Bad habits can crop their heads up in many different ways: poor password management, not using security software, or simply being naïve and believing that you’d never fall for a scam or malware link. Regrettably, these things can happen to the best of us, so if you want to stay safe and secure, you must remain vigilant. Here are some of the worst habits you can have when it comes to securing your data. The most common cause of stolen data is laziness. We all know that hackers exists, that malware exists, that technology is fallible, and that security will never be 100% airtight. Yet, even though we know these things, many of us never act on them. As such, we leave ourselves open and bare. Choose better passwords. The strongest passwords involve long lengths, a mixture of alphanumeric and symbolic characters, a combination of upper- and lower-case letters, and an avoidance of dictionary terms. Despite this, you might still prefer “asdf123” or “999999” as your password because it’s easy to remember. Strengthen your password and you lessen the risk of being hacked. Want to know more? Check out Chris’s article on everything you need to know about passwords Everything You Need To Know About Passwords Everything You Need To Know About Passwords Passwords are important and most people don't know enough about them. How do you choose a strong password, use a unique password everywhere, and remember them all? How do you secure your accounts? How do... Read More . Scan and protect. Whenever you visit a website or download a file, you should always scan to see if said website or file is malicious. Is it annoying to do so? You bet it is. However, catching one malicious file for every thousand clean files is still better than nothing. Suppose that one malicious file would’ve wiped your hard drive? That would be far more inconvenient than preemptive scanning. Use a tool like Web Of Trust Browse Safely With Your Own Internet Bodyguard Called WOT Browse Safely With Your Own Internet Bodyguard Called WOT Read More to detect shady websites. 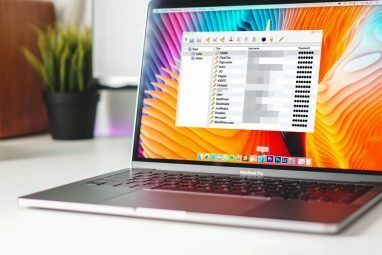 In addition, install a free antivirus program Free Anti-Virus Comparison: 5 Popular Choices Go Toe-To-Toe Free Anti-Virus Comparison: 5 Popular Choices Go Toe-To-Toe What is the best free antivirus? This is among the most common questions we receive at MakeUseOf. People want to be protected, but they don’t want to have to pay a yearly fee or use... Read More that scans downloaded files for viruses. But most importantly, never click on a link or advertisement unless you are 100% sure of where it leads. Naivety is the brother of laziness. If we think of laziness as intentional ignorance, then naivety is ignorance that’s unintentional. It’s manifested in the thought process that says, “I’ve never been hacked and I’ve never lost data yet. It hasn’t happened to me yet, so it probably won’t ever happen to me.” Does that sound familiar? This type of thinking can stem from arrogance, too. Maybe you think you’re too smart and too tech-savvy to fall prey to scams and spyware. You think you’re “protected enough” so you begin to lower your guard, then one day you’re hit with a virus that cripples your computer and you wonder how it happened. Install an anti-malware scanner. Even if you think you don’t need it, you should install a program like Malwarebytes Anti-Malware and periodically scan your system for intruders. If the program offers 24/7 protection, that’s even better. Seriously, it will happen to you at some point, so you might as well prepare for it beforehand. Keep backups. When disaster strikes and you lose all of your files, what are you going to do? File recovery programs Turn Back Time: 4 Tools & Tips To Restore Deleted Files In Windows Turn Back Time: 4 Tools & Tips To Restore Deleted Files In Windows One of Windows' biggest flaws could be your rescue, should you ever accidentally delete an important file: The Windows file system does not actually delete files. Until they are overwritten, deleted files can be restored. Read More can help but they don’t always work and the results can be wildly inconsistent depending on a number of variable factors. The smarter alternative would be to regularly back up your files 6 Safest Ways to Backup & Restore Your Files in Windows 7 & 8 6 Safest Ways to Backup & Restore Your Files in Windows 7 & 8 By now, we're sure you've read the advice over and over: Everyone needs to back up their files. But deciding to back up your files is only part of the process. There are so many... Read More . 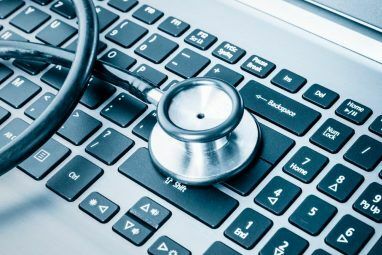 While data loss can occur due to technical failures (e.g., dead or corrupted hard drive), the vast majority of cases occur at the hands of a person. If you aren’t careful, you could end up giving away sensitive data to someone without even realizing it. Don’t trust strangers. Whenever someone unexpectedly asks you for your ID, password, PIN, verification code, or anything else that could be used to unlock further information, it should immediately raise a red flag 5 Common Security Mistakes That Can Put Your Privacy & Money At Risk 5 Common Security Mistakes That Can Put Your Privacy & Money At Risk How vulnerable are you? Ask any person who’s been robbed if it came as a surprise - I guarantee you it did. As the saying goes, the thief always comes in the night when you’re... Read More . Be wary of any email, phone call, or website that tries to solicit this data from you. The rule of thumb is: if someone contacts YOU and asks for information, it’s probably a scam; if you contact THEM and they ask for verification, it’s probably legitimate. This isn’t always true but it’s a good starting point. Don’t share passwords. Do you share your accounts with your friends and family? If so, the risk is always there for one of them to hijack and steal control. It may not be too devastating in the case of a Netflix account, but you’re just asking for trouble if you share access to your bank account or your online merchant account. If you’re going to share an account, share it with as few people as possible and always have a contingency plan in case something goes wrong. “They would never steal my account” might be a nice thought to have, but it’s better to be safe than sorry. As you can see, poor security habits can often be traced back to an issue of attitude or mentality. 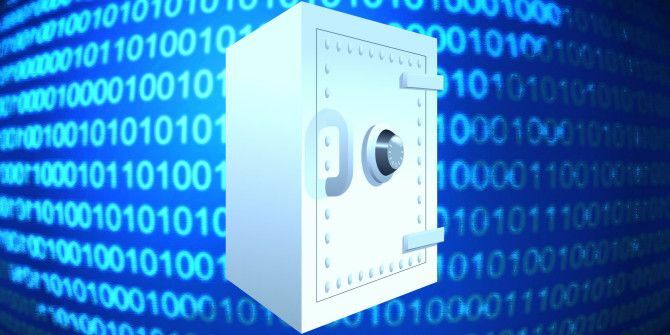 It comes down to this: if you want to keep your data safe, you need to exert some effort in taking care of it. If that means fighting off laziness, being proactive, and being more cautious, then so be it. Can you think of any other bad habits that can lead to data security problems? It’s an ongoing struggle against hackers and malware, so every little tip helps. Share your thoughts with us in the comments! Explore more about: Anti-Malware, Password. 5 Sites and Apps to Find Movies & TV Shows to Watch on NetflixShould You Think Twice Before Logging In Using Social Accounts? Inserting somebody's elses pendrive (USB) ! 99 % of the time, it so happens that its always infected. Good reminder of the basics we all need to employ when computing. Thanks. We all need a good reminder every once in a while, myself included. I think "it won't happen to me" syndrome is the worst. If I had a nickle for every time someone said to me "Antivirus/malware/password managers/whatever are just scams, I've not had one for five years and I'm fine!" I'd have...well, I don't know, but at least a couple dollars. It's annoying because not only is it poor security practice, but the people who take this tact and emerge unscathed often act as if they've uncovered a secret wisdom no one else knows. Survivor bias? What's that? Or possibly they're seriously infected and haven't realized it yet. Yeah. What makes it worse is that when they inevitably do catch a virus or malware, it somehow wasn't their fault. (That's been my experience, anyway.) Protect your data and devices, people!